For many parents, every conversation with their kids seems to turn into an argument. The parents I have worked with get completely frustrated and then don’t know how to make it stop. 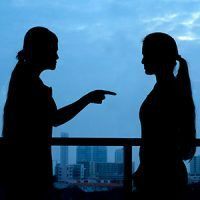 Whether it’s during a difficult time (like adolescence) or over several years, arguing can seem like the only form of communication that parents and kids have. As parents, we are often so busy just trying to keep our families going. We’re working, worrying, and generally living stressful lives. And when we’re stressed, we typically rely on patterns of behavior: doing the same thing over and over, even when we know it’s not working. And no surprise, nothing changes. If you argue frequently or constantly with your child, here are five things NOT to do. 1. Don’t ignore the pattern in your relationship with your child. We can’t stop doing something until we understand it and are able to observe it. Sometimes it’s easiest to see the pattern in others, like the mother and daughter at the mall arguing over which jeans to buy, getting angry at each other and leaving the store barely speaking for the rest of the day. Or your friend and their child who seem to argue over each and every chore, no matter how big or how small. Have you seen this pattern in your own relationship with your child? You ask her to do the dishes and she refuses, arguing that it’s not her job. You insist it is. By then, you’ve had it and scream at her. She screams back, swearing. You send her to her room after yelling about everything else she’s done wrong that week. The key is to recognize the patterns. Pay attention to when it happens, how it happens, what started it, and how it escalates. All of this information will be helpful when you begin to change the behavior and make it stop. 2. Don’t assume that your child will just stop arguing—or that you won’t have to change your own behavior. Kids are always learning how to get by in the world—and finding out how to get what they want. From the baby who cries when he’s hungry, to the three-year-old who keeps tugging on your leg to get your attention, to the adolescent who argues over everything. These are all behaviors that meet needs. But, your baby eventually learns to talk to let you know he’s hungry. Your three-year-old learns to get your attention without tugging on you. And your teen can learn better ways to communicate without arguing. It just takes work and learning new ways to relate. 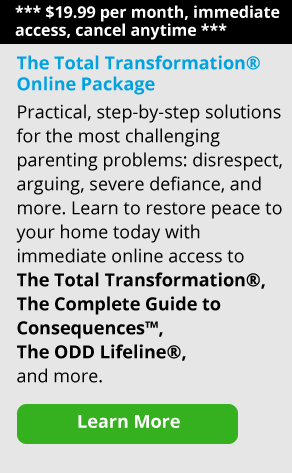 Because parent-child arguments can’t happen without the parents, you need to want to change in order to help your kids change. You have to be open to changing your side of the argument and finding a better way to communicate. Nothing happens miraculously or without work on your part, but you can take steps to make change happen. You may need some help: from your partner, your child’s teacher, a guidance counselor, a trusted friend or another parenting support. It’s not easy to figure out a new way of relating to your child. Seeking help is often the first step to making this important change. 3. Don’t forget your priority: the kind of relationship you want with your child. We all want to be good parents. When we’re pregnant, we dream about how we’d like to relate to our children. With the reality of everyday life, that dream can get lost. All of us can lose sight of our priorities, but we can also regain our perspective and get back on track. As with all relationships, it takes some work. We need to get past some of our small difficulties and keep our goals and priorities in mind. For example, doing the dishes isn’t the priority, but being able to set limits and hold kids accountable is. Remembering the priority will help us remember the role we want to play with our kids. It’s important to establish the kind of relationship you want with your child. There are different, more effective parenting roles that can help you get there. 4. Don’t let disagreements flare. As parents, we often fail to set limits before things get out of hand. We don’t plan ahead and don’t have a strategy to deal with misbehavior. As a result, before we know it, we’re back in that arguing pattern. It doesn’t matter who we are, how smart we are, or how well we do in other parts of our lives—we can all be pulled into arguments. For this reason, it’s crucial that we stop arguments before they flare up. We need to plan our strategy to not be pulled in. It could be that we think through what we’ll say and how we’ll say it before we speak. Or, we plan not to say anything at all rather than becoming the other half of the argument. Once you begin to change your way of relating to your child by reinforcing your limits without screaming and arguing, your child won’t automatically respond. In fact, they may try to escalate the situation and pull you back into the screaming and arguing behavior in order to get their way and avoid consequences. If your arguing pattern has gone on for a long time, your child may be very sophisticated in his ability to pull you into an argument. This is what he knows and how he’s gotten his way in the past. Don’t be surprised by this. But do plan ahead to hold firm with your non-arguing response. 5. Don’t give up on change. When we get into these struggles, it’s so hard to stop. We feel helpless and hopeless about arguing all the time. Even when arguing has become so ingrained in your relationship with your child, there is hope. When I worked in residential treatment programs, I worked with some of the most difficult kids and family situations. Some situations were so bad that these kids could no longer live at home. With time, help from trained staff, and willingness and motivation to change, these kids and families learned to have better lives together. It’s a miraculous thing when this happens, when even the most alienated parents and kids work together to create a loving, caring, respectful relationship. It’s important not to get discouraged. You are not alone. There are many parents working on this same thing, and their lives are changing for the better. Yours can, too. There are steps you can take to have a healthier relationship with your child, and you’re starting to take those steps just by looking for information. With time, some effort, and faith in yourself and your ability to become a more empowered parent, you will be able to change and develop a more effective way to communicate with your child.